The zirconium oxide is a material used in multiple applications for its capacity to abrasion resistance. 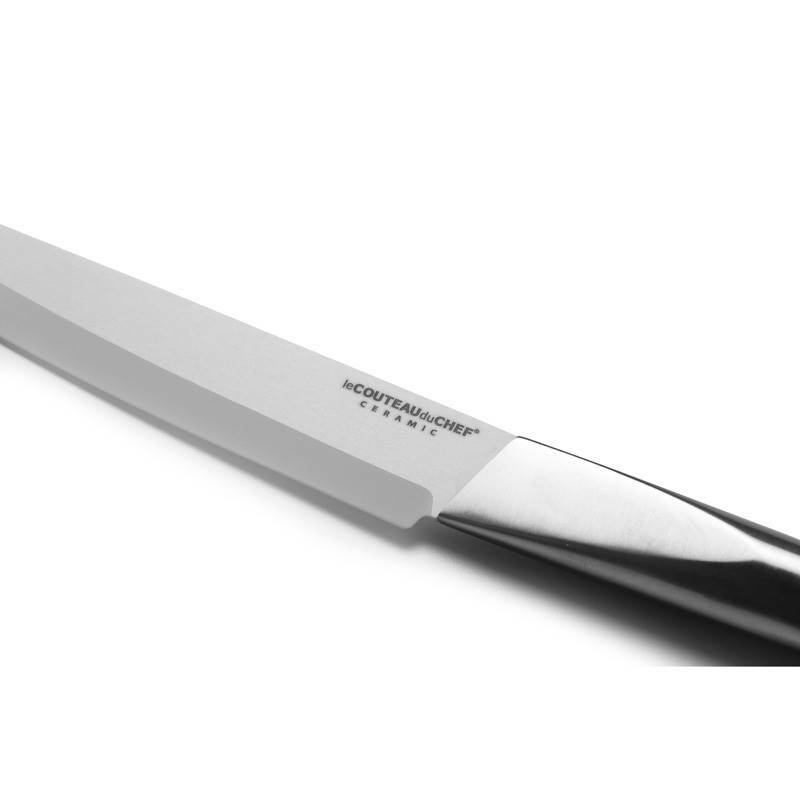 It is a main component of the ceramic used for the manufacturing of high-end kitchen knives. The highest the content is, the hardest, resistant and reliable is the blade. 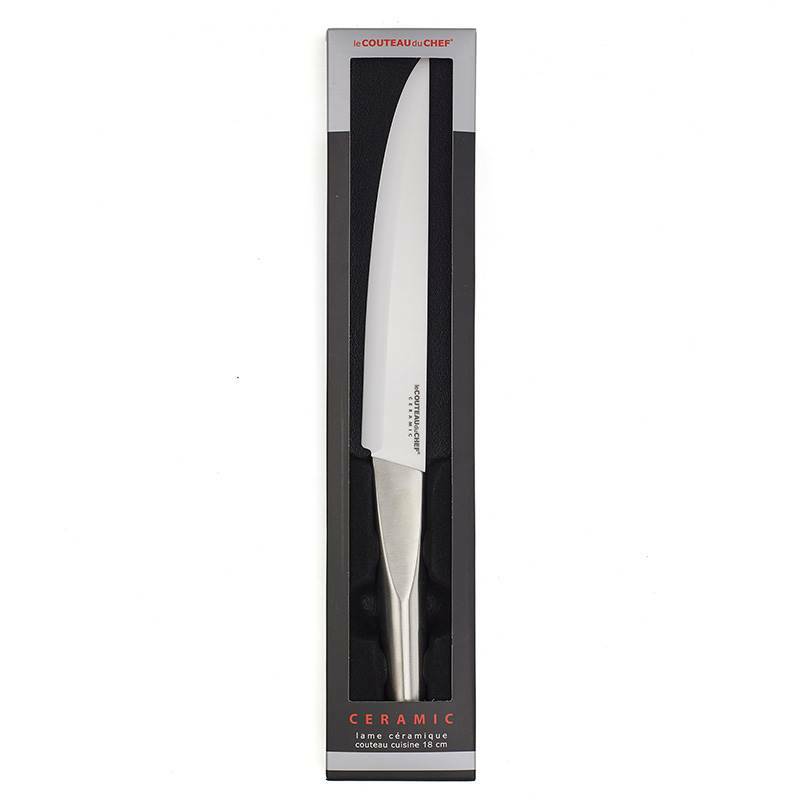 More and more often used in the manufacturing of kitchen knife blades, the ceramic offers breathtaking cutting power thanks to its extraordinary hardness. 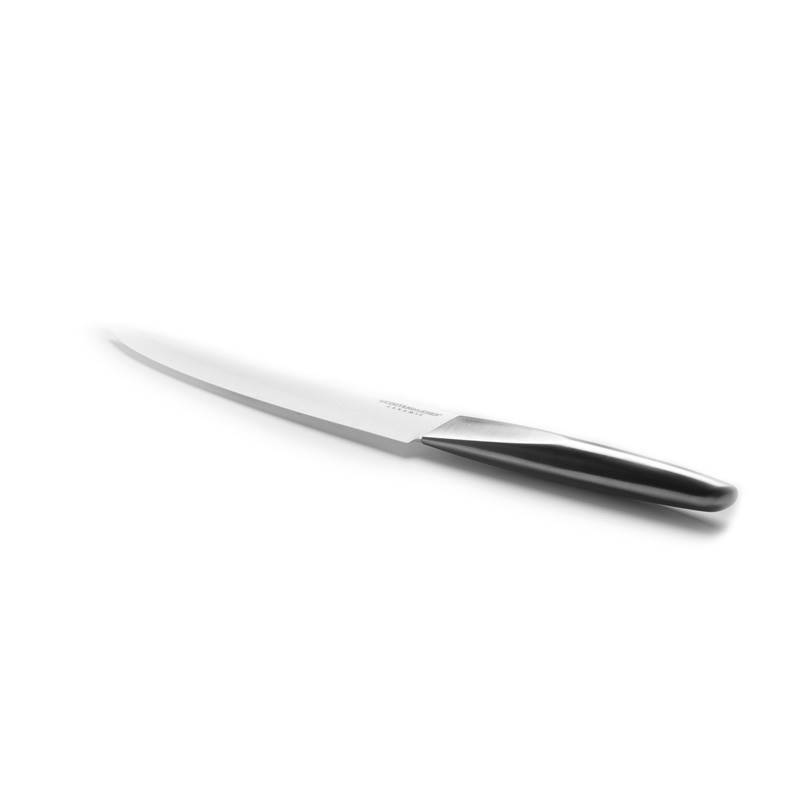 The blades created with this very resistant material are considered to be amongst the most reliable in the knife manufacturing area. 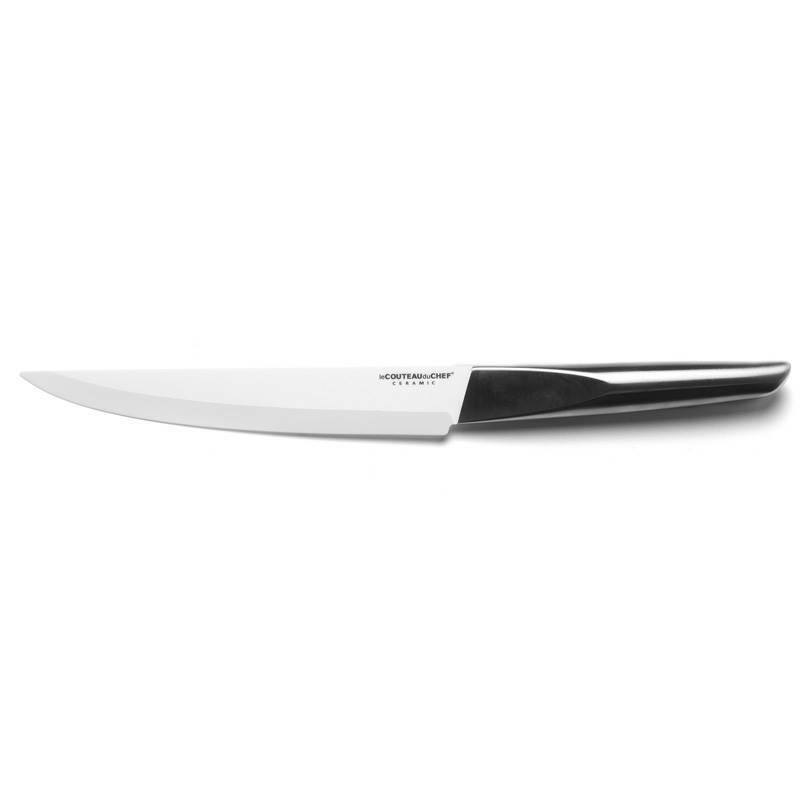 This white ceramic blade thus ensures a durable sharp edge that hardly ever needs sharpening. 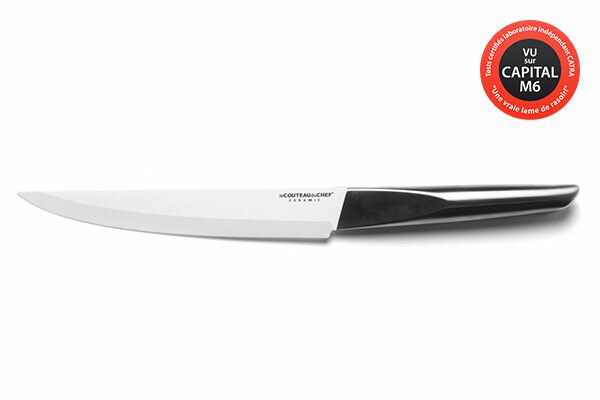 The 19cm blade of this Transition knife is manufactured with a very high zirconium oxide quantity contained in the ceramic.